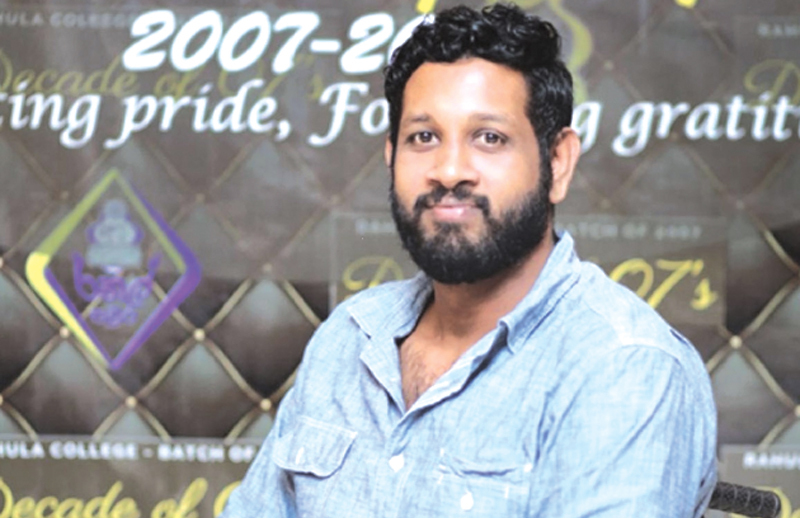 Tharindu Anuradha Kankanamge, 29, of 'Badulla Gedara', Meda Hittatiya, Matara, an old boy of Matara Rahula College, seeks help to get back on his feet. Tharindu, a former Rahula basketball player, met with a road accident on March 4, 2010 at Thalalla and had been confined to a wheelchair due to spinal and head injuries. He is a father of a two-year-old girl and his wife looks after him. After submitting his medical reports to China's Beijing Punua International Hospital's head of Neurosurgery Department Dr. Xiaodi Han, he was informed that it is possible for Tharindu to get back on his feet after a Spinal Code Reconstruction Surgery and Stem Cell Therapy Surgery. The surgery will cost about US $ 34,600 (Rs. 5.6 million) and another US $ 12,000 (Rs. 1.9 million) monthly expense for the rehabilitation process. Tharindu seeks financial assistance from the public for the surgery. His account numbers are 8070062363 (Commercial Bank - Matara) and 152-2-001-3-0073571 (People's Bank - Matara). His phone number is 0773522402.